First the food trucks, and now the cupcakes! Finally, Granada Hillsians will no longer have to make a trek to indulge in gourmet cupcakes -- we've got our own place now. Take that, Beverly Hills Sprinkles! Joeleen Medina was busily preparing for the opening of her shop when I visited her last Thursday. The Cordon Bleu graduate has already been in business in Granada Hills for more than five years, but on an appointment-only basis. Now that Joleen has branched out into a storefront location, sampling her wares isn't just a big, special-occasion commitment anymore; instead of waiting for a wedding or a birthday party, you can stroll in and try a cafe latte cupcake (vanilla cupcake, coffee buttercream, vanilla bean filling with espresso chips), or another specialty flavor like pistachio, tangerine, or pomegranate. Joeleen also offers seasonal flavors like cranberry, pumpkin spice, and egg nog, and at Christmas a buche de noel, or yule log cake. "I'm really excited to be making those," she giggles. 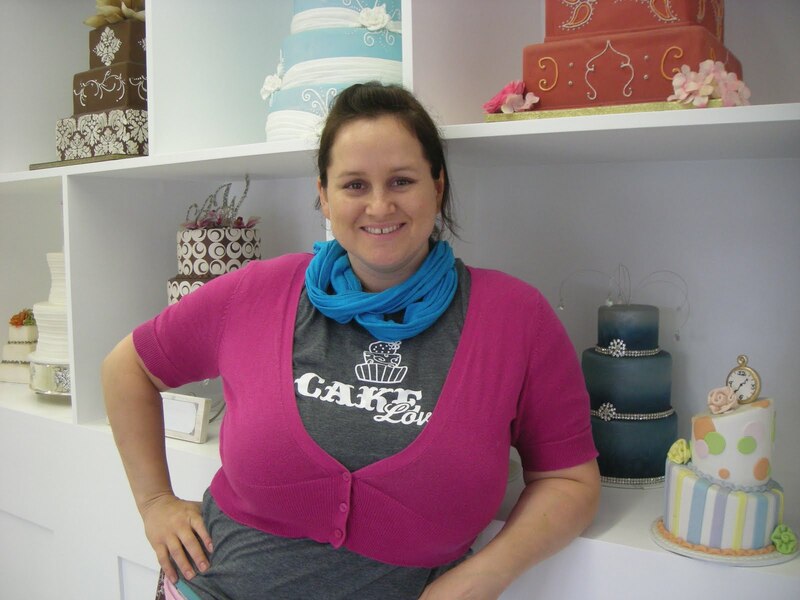 Joeleen is also something of a celebrity in the baking world, or at least she soon will be; TLC will be filming an episode of "Fabulous Cakes" at her shop next week. The real reason to splurge on one of Joeleen's cakes instead of say, picking one up at Vons? "Because our cakes are spectacular tasting," Joeleen says matter-of-factly. It's also apparent that the level artistry here goes well beyond sticking a plastic clown in the frosting and calling it a day. A Sweet Design, after all, isn't just a bakery; it's a "Custom Cake Studio." "We're all artists and sculptors," Joeleen says of her staff. And it's tough to imagine a better artistic medium.